[fa:p:a=72157594267830938,id=292609612,j=r,s=s,l=p]AUSTIN DAZE: We’ve heard great things about your songwriting. How do you go about it? How do you know when you have something special? SOUTHPAW JONES: It’s always different. Although in Austin I get a lot of homework assignments from Matt the Electrician challenging me with a title or someone else having an idea for a title and having a due date. So those I write in a rush and often at the last minute. The songs that come purely from me can be finished in an afternoon. Or I might write a verse and a chorus and two years later finish that. It’s always different. There’s a lot of rhyming dictionary usage in there. I think the main rule for me is that if it makes me laugh out loud than I’ve got something. It’s really natural for me to go for laughter but there are also songs that I am trying to get tears and that’s a lot harder. It’s harder to write those songs–especially when people are used to seeing me playing funny songs–but if it brings the passion out of me then somebody out there will probably connect to it. I like to get some reaction. I won’t really know until that first performance at Café Mundi or Cactus or wherever I play that I will get that initial reaction. I have dumped songs after that. AD: How many of your improv songs become recorded material? SJ: I’d say probably 70% or so. I opened the door with this “Bedroom Demos” record that I did last year. It’s a place that I can follow those songs that aren’t exactly classics or folk songs – they can just be anything. So even as I’m writing I’ll think in terms of: is this going to be on a studio record or on a homemade record or is this just a live song for awhile and then I’ll drop it? Actually, I don’t write enough to just drop songs willy-nilly. Because of laziness, I tend to use them in some way even if it takes years to get them on a CD. AD: How did you get involved with music and when did you know it was going to be your career? SJ: I’m still not sure it’s going to be a career but I’m working on it. I come from a musical family. I was raised in the Church of Christ which is a very strict nondenominational church that believes in no instrumental music in worship. So every Sunday morning, Sunday night and Wednesday night I would be exposed to four part acapella harmonies just all around me. When I was a kid, I sang soprano and then when my voice started to change I sang tenor and then bass, so it really taught me a lot about harmonies. I took piano lessons and started playing and writing songs on piano. And then finally my uncle gave me his guitar when I was 16 and I started writing songs on guitar. I was in a band in high school called Apple Spider and we had our first show in a parking lot in a suburb. It wasn’t until I decided to go to college in Nashville that I started to look at how people make it their living. I started playing around in Nashville and got some attention. It’s still a big mystery to me: how it happens. And how followings happen and then how record contracts happen. But I’m enjoying a slow build. AD: For lack of a better word, do you find it hard to be a struggling musician? SJ: I’m in Austin, so I think that I’m thriving artistically. But I have to spend 40 hours at a job just so I’ll have insurance and a roof above my head. No, I don’t feel like it’s a struggle. If it was a struggle, I’d probably stop doing it because I’m lazy. There are rewards and they are not always monetary. AD: What is the best thing and the worst thing about being in a thriving music community? SJ: The best thing is the Austin community of artists and listeners who somehow, no matter how far out I throw my stuff, they pick up on it and they don’t act like the words and melodies that I write are inherently strange. The worst part of it is going out of town after being spoiled by that and people just looking at you with their heads tilted to one side. It’s too much, I guess. I get people saying, “We are going to have to get you back to the asylum, boy” and that kind of thing. I don’t really think my songs are that weird, it’s just not what is on the radio. I speak to a different side of the brain and a different side of the heart and all that stuff. SJ: I think it’s that idea of a group of people huddled together as if they were in a very cold place. You look at the political map of Texas and it is all red all around and there is this little blue patch where all these people can come from all over Texas and all over the country really, and say, “We are going to let our freak flag fly.” There are no rules here. It would be one thing if we were on an island somewhere enjoying the freedom and openness that we have but it is so much more powerful when you are surrounded by the red. I can drive 30 minutes and start seeing George W stickers on the cars and it’s so good to get back into town and get some work done and think about positive things. AD: What wisdom would you offer to someone that was going to take the plunge as a musician? AD: If you had the ability to, what would you change in this town to make life easier on music makers? SJ: I suppose lots of grants. Just being paid for every show, somehow that would be encouraging and useful, I think. If the traffic weren’t as bad as it is, it would be easier to get to shows on time. There’s not much. There is not much money to be made but the community is there and you can find your music friends and you can have people to play with and record with that can help you in all sorts of ways. I’ve only been here 2 or 3 years and I’ve just been amazed at the support. AD: Tell us about the CD “Bedroom Demos.” Everyone seems to be raving about it. What’s different about it? SJ: It started as something that I wanted to do for my website so I could send out an email saying, “I’ve got this new song that you can download.” I was not thinking in terms of putting the songs out. But then I started to really have fun with them. I think I sound really comfortable on them. 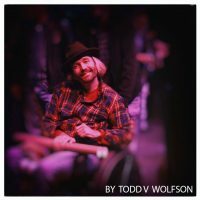 I’m able to explore things like playing xylophone and drum machines and singing harmony with myself – all this stuff that happens at 3am or 4am sometimes when I’m sober and sometimes when I’m very much not. They started to pile up and I realized that they shared a sense of fun and a sense of innocence and play – play is a big part of it. Whereas, when I go into a studio, it is fun but when I listen to those recordings, I can almost hear myself thinking, “Ok, this hour costs this much and these people are counting on me to be on schedule.” “The Bedroom Demos,” it’s just like, there are no rules. A 30 second song here, a 5 minute song here–it’s really just liberating. I was very shocked that good reviews came out for it because I was just having fun. AD: We are thinking about getting together a theme song for the paper. 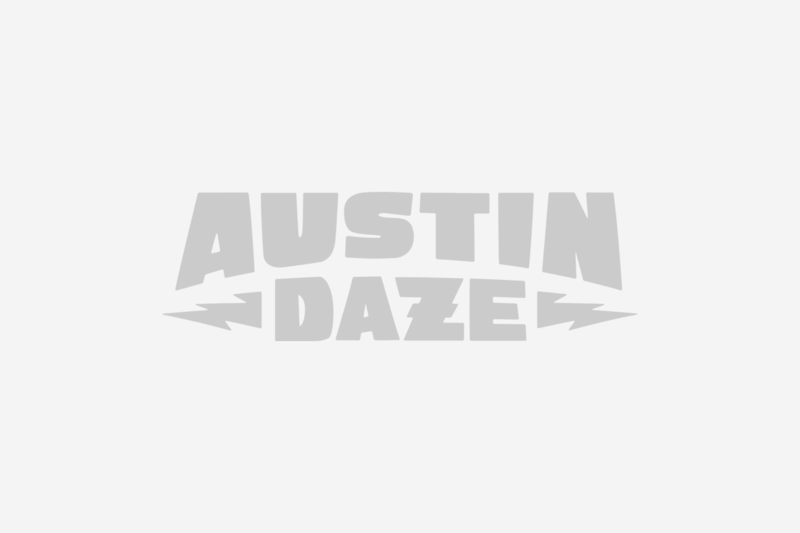 What do you think your first few lines would be for the Austin Daze theme song? AD: We’re going to have to get that in the paper. How would you spell that? AD: What music in Austin brings you out? SJ: I like to see Matt the Electrician even though I play with him every Wednesday. The Resentments–I really don’t see that show as much as I should because it’s every Sunday; Anna Eggy when she is in town–people who are personal friends. The Ginn Sisters: good stuff; good country sister stuff. ahhh its all good … i still love jesus and he loves me dispite my sinful nature … im glad god has a sense of humor too !! !